Historical Marker #2387 in Harlan County commemorates the Pine Mountain Settlement School, a National Historic Landmark that opened in 1913. Beginning as a combination social settlement and boarding school for local youth, Pine Mountain Settlement School was established by Katherine Pettit and Ethel de Long Zande. Their goal was to offer a home and education for children in the region who had limited educational opportunities. William Creech donated the land for the school, which was located on the north slope of Pine Mountain. Creech was an early settler who had, for many years, dreamed of finding the means to educate area youth who were isolated by the region's topography. Pettit and Zande commissioned prominent Kansas City architect Mary Rockwell Hook, who had studied architecture in France, to complete the building project. When the school opened in 1913, a borrowed house, Masonic Lodge, and some tents housed the few students and staff. Soon, the demand for admittance to the school increased dramatically. Donations enabled the school to grow, but administrators agonized as they were forced to turn away students who had walked for miles seeking an education. In addition to focusing on reading and writing, the school provided an "education for life," including classes in cooking, cleaning, and farming. Also important was sharing an appreciation for the culture, tradition, and values of the people in the area. In 1930, the school received four hundred applications for just thirty spots. By that time, education for elementary and middle school students in the region had expanded. Therefore, Pine Mountain School focused on operating as a boarding high school. 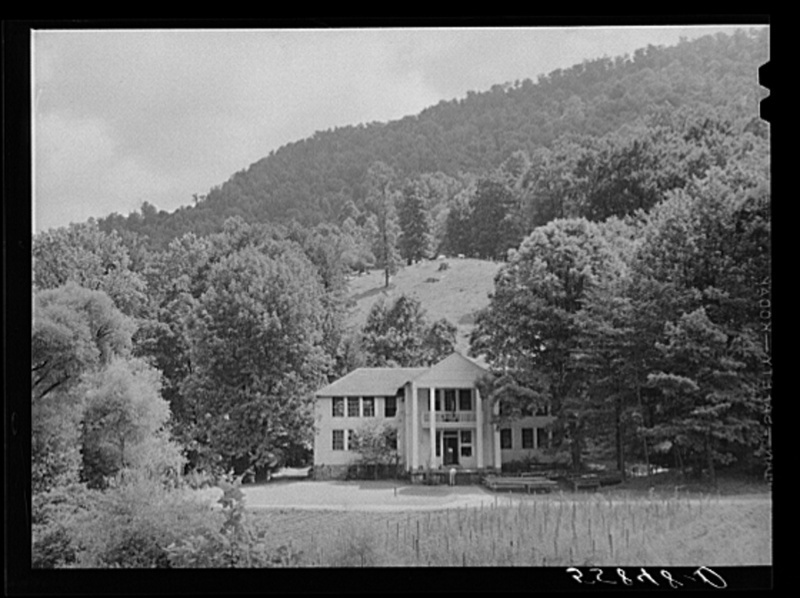 In 1949, in connection with the Harlan County School Board, seven surrounding one-room schoolhouses combined into a community elementary school at Pine Mountain. While no longer controlling the curriculum, the school was able to provide services to every family in the community. The progressive nature of the school served as a model for schools across the globe. In the 1960s, it became apparent that the elementary school at Pine Mountain was no longer needed by the Harlan County Schools; a new school had been built to combine the Pine Mountain district with a neighboring district. Therefore, in 1972, the school was transformed into an agricultural education center. Today, Pine Mountain Settlement School still operates and offers "environmental education and basic educational support for students in local schools." 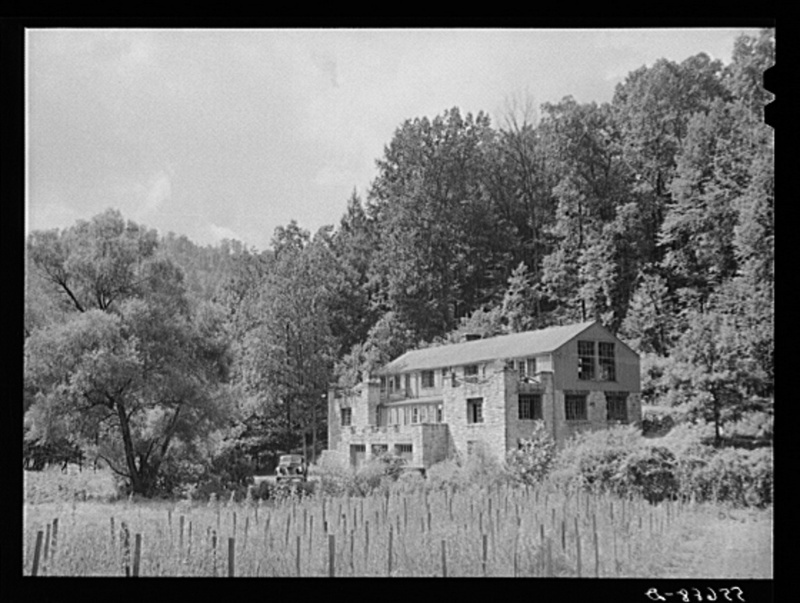 Classroom Building: This photograph shows a classroom building at Pine Mountain Settlement School. Courtesy of the Kentucky Historical Society. 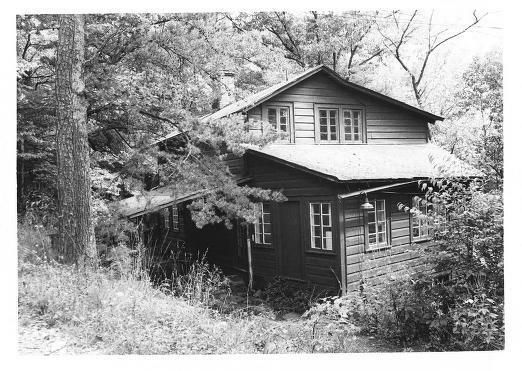 Pine Mountain Settlement School: Founded in 1913, the earliest buildings on the Pine Mountain Settlement School property were designed by renowned architect Mary Rockwell Hook. Courtesy of the Library of Congress. Pine Mountain Settlement School: The Pine Mountain Settlement School was founded by Katherine Pettit of Lexington and Ethel DeLong Zande of New Jersey. The school had few students when it opened in 1913, but received four-hundred applications in 1930. Courtesy of the Library of Congress. 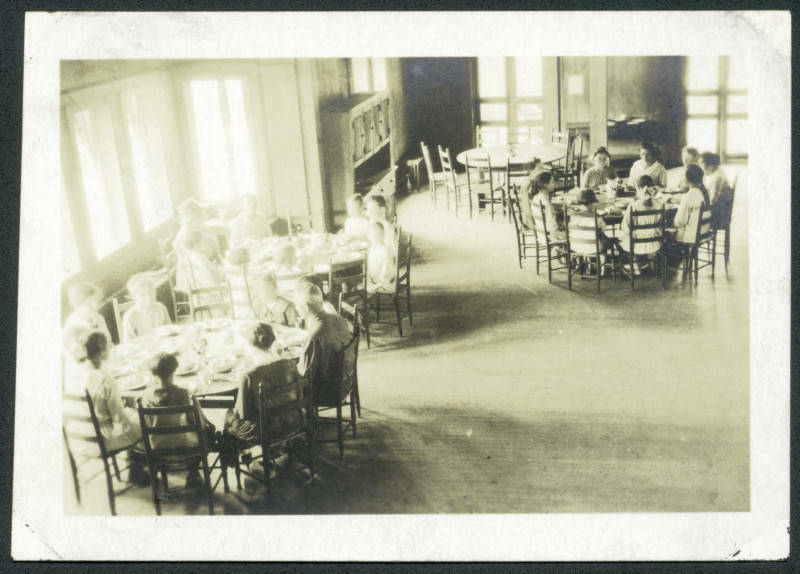 Dining Hall: This photograph shows part of the dining hall at Pine Mountain Settlement School. Courtesy of the Kentucky Historical Society. Infirmary Building: The infirmary at Pine Mountain Settlement School provided medical services to much of the surrounding region during the early years of the school. A nurse was part of the first staff assembled at the school in 1913. Courtesy of the National Park Service. 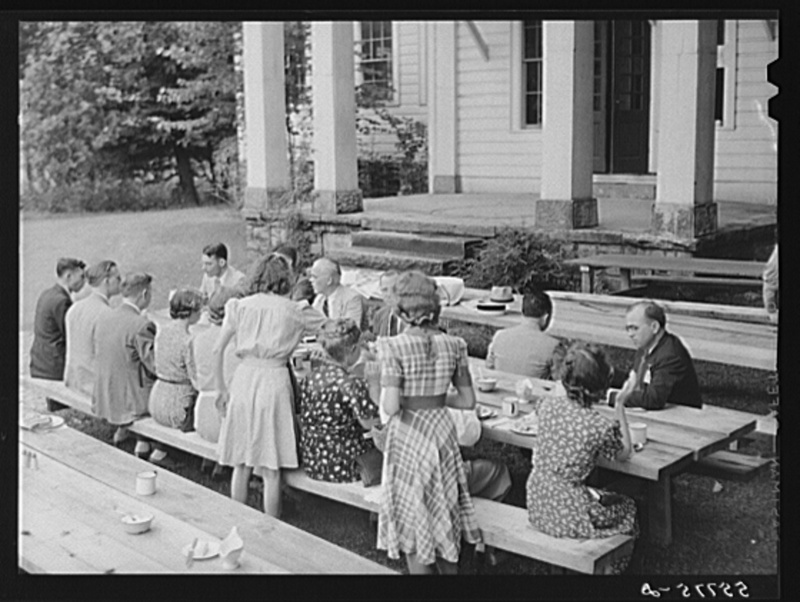 Pine Mountain Settlement School: Picnic tables hold an outdoor dinner at Pine Mountain Settlement School in this 1940 photograph. Courtesy of the Library of Congress. 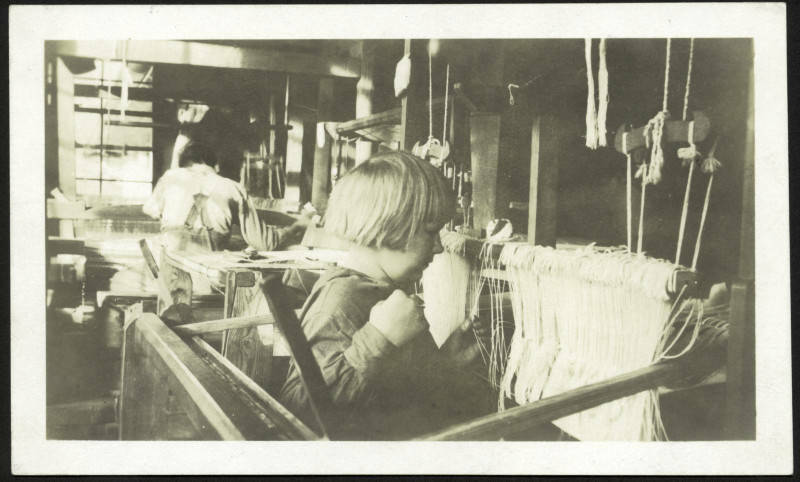 Weaving Room: This photograph shows the weaving room at Pine Mountain Settlement School. Courtesy of the Kentucky Historical Society. 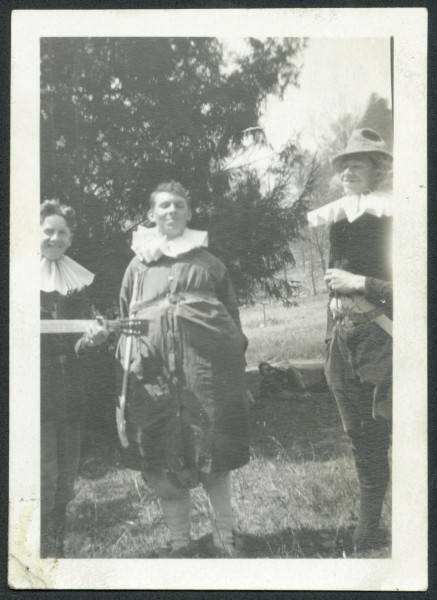 Student Performance: Students at Pine Mountain Settlement School are shown performing a Shakespearean play. Courtesy of the Kentucky Historical Society. 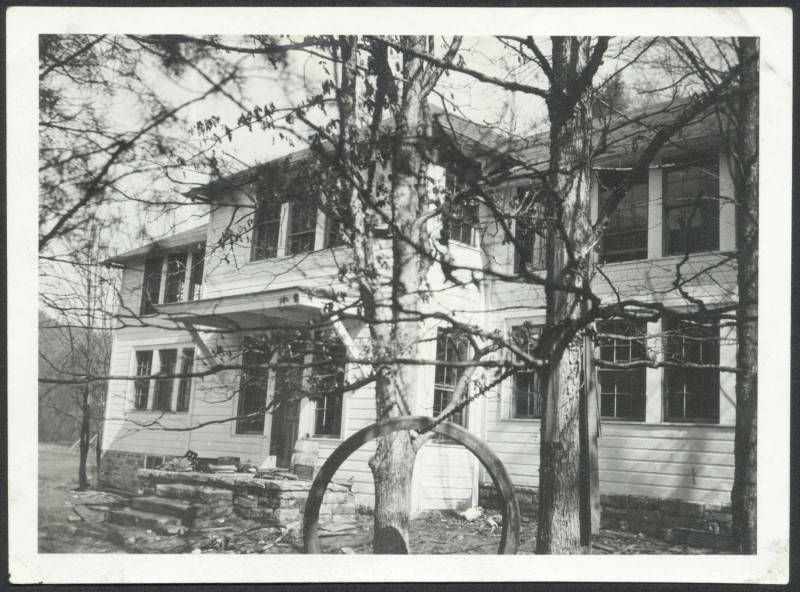 McKenzie Martin, “Pine Mountain Settlement School,” ExploreKYHistory, accessed April 22, 2019, https://explorekyhistory.ky.gov/items/show/589.